It's a beautiful fall day here in Northern Illinois. 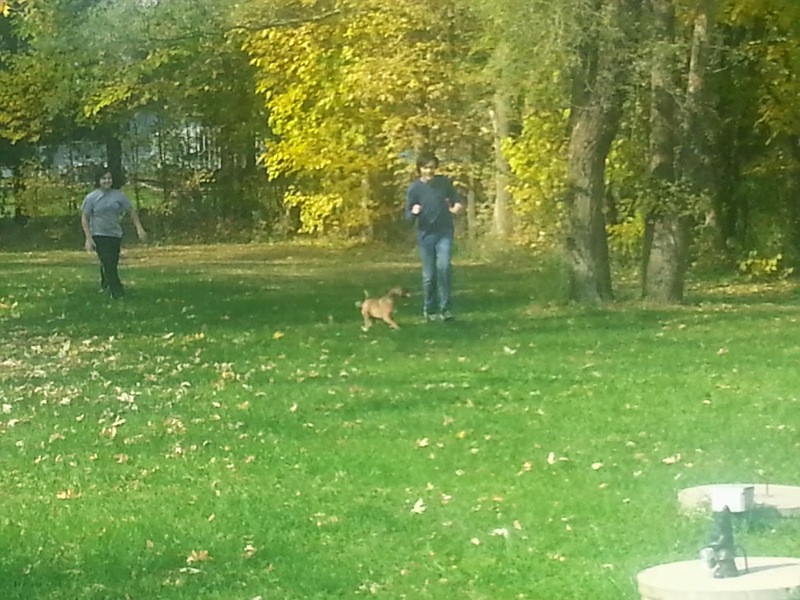 The sun is shining, kids go their book work done, and are enjoying some fall weather by running around the yard with our 7th month old puggle. I think it's great that even at 12/13 they still enjoy playing games. They were playing tag with Puggy. Do your older children still enjoy playing games? Do they still enjoy running around the yard? Mine also enjoy the computer and tablets and other things, but it does my heart good to see them outside just playing and enjoying life and each other company.